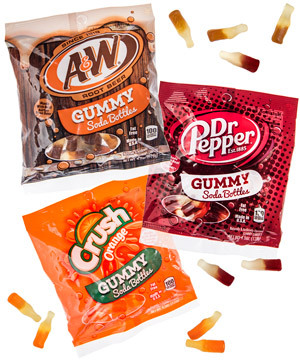 Whether you call it soda or pop, there’s one thing you’re sure to call these chewy candies—delicious! 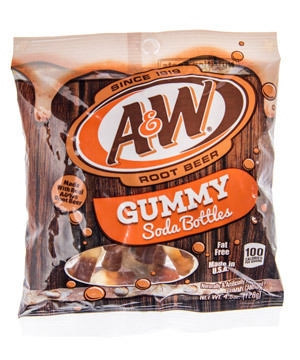 Each Gummy Soda Bottle is imbued with the intensely tasty and authentic flavor of a classic soda: Orange Crush, Dr Pepper, or A&W Root Beer. 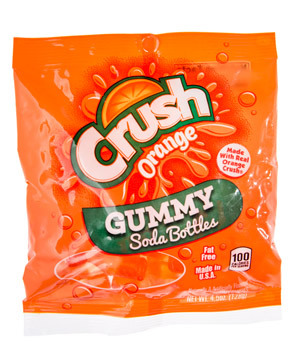 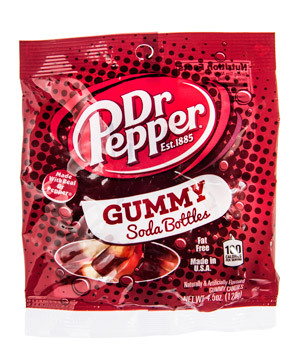 The two-toned treats are made in the USA and come in bags of about forty bottles to chug...err...devour.